This is the second Andrew Loomis book that publisher Titan Books has reprinted. Just like Figure Drawing for All It's Worth, this is a large format hardcover with a dust jacket. The production quality is excellent and it's a faithful reprint of the original content. There are 5 parts to the book. The first 4 parts covers the drawing of head for men, women, babies, kids and teenagers. The last part is on drawing hands. The instructions are insightful and simple to follow. Illustrated examples are beautiful. The section on drawing hands is not a lot but I guess still adequate enough. If you want a good book on drawing hands, check out Drawing Dynamic Hands by Burne Hogarth. It's great that this classic is reprinted because everyone can own one now. 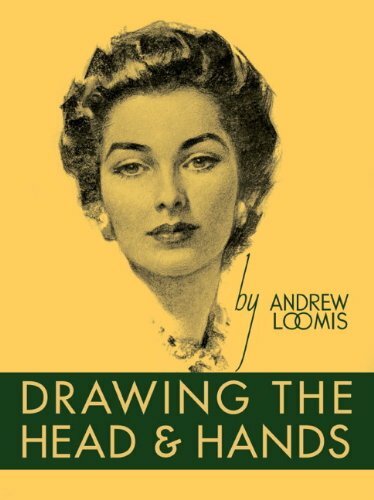 This is a great companion book to figure drawing books. Highly recommended.